A book of woodworking, family history, world history, and a boy spending time with his Grandfather, and a bit of magic (dragons, elves and such). Sounds like the makings of a great woodworking book for kids. Lost Art Press has translated this from a French original that was written in 2007. 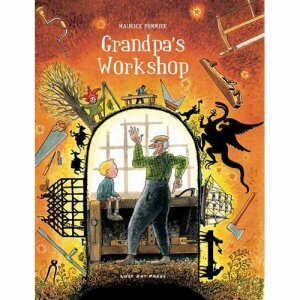 Advanced orders for Grandpa’s Workshop by Maurice Pommier are being taken by Highland Hardware.